The parish was in the Wainfleet sub-district of the Spilsby Registration District. You can also perform a more selective search for churches in the Firsby area or see them printed on a map. In 1834 the church was reported to be "crumbling". The church was rebuilt from local stone in 1856. It is dressed with Ancaster stonework. The church seats 150 people. 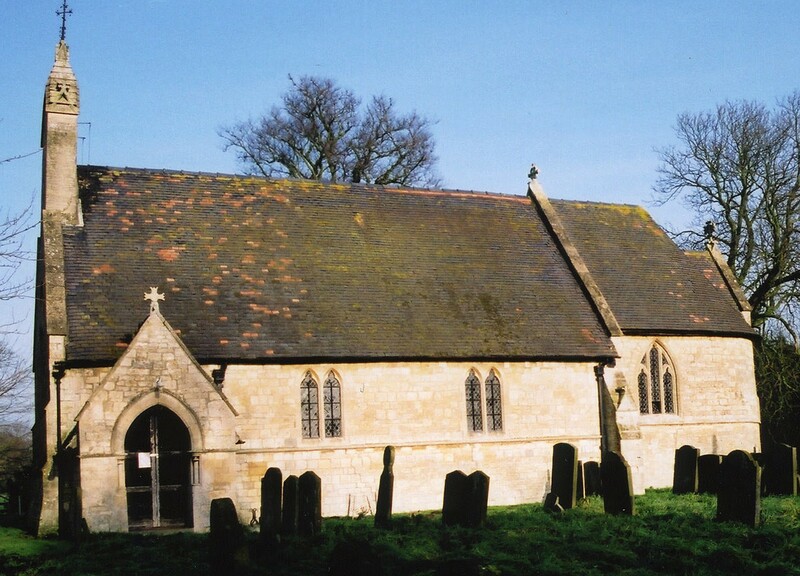 There is a photograph of St. Andrew's Church on the Wendy PARKINSON web site under "more Lincolnshire". Rodney BURTON has a photograph of St Andrew's Church on Geo-graph, taken in July 1993. TheLondon Family History Centre has the Bishop's Transcripts from 1562 thru 1837 on microfilm. There was also a chapel for Wesleyan Methodists in the village built in 1838. For more on researching these chapel records, see our non-conformist religions page. David HITCHBORNE has a photograph of the Methodist Chapel on Geo-graph, taken in May, 2004. This parish and small village lies 122 miles north of London, 4 miles south-east from Spilsby, 4 miles north-west from Burgh and 8 miles from Skegness. A small stream runs through the parish. Railway service to the village, which started in 1848, closed in 1970. Passenger service had already been suspended in 1939, although many RAF and USAF personnel passed through Firsby on their way to airfields during World War II. Ask for a calculation of the distance from Firsby to another place. You can see the administrative areas in which Firsby has been placed at times in the past. Select one to see a link to a map of that particular area. In 1920 a railway accident at Firsby Station injured many people. Mr. WELCH, a 71-year-old local businessman died the next day from his injuries. Richard CROFT has a photograph of the War Memorial outside the church on Geo-graph, taken in May, 2008. The parish was in the ancient Wold division of the Candleshoe Wapentake in the East Lindsey division of the county, in the parts of Lindsey. In March, 1888, this parish was reduced in size slightly to enlarge Irby in the Marsh Civil Parish. White's 1900 Directory of Lincolnshire places the parish, perhaps erroneously, in the South Lindsey division of the county. Firsby is governed by the "Firsby Group Parish Council" which includes Bratoft, Great Steeping, Little Steeping and Irby in the Marsh parishes. You may contact them regarding civil or political issues, but they are NOT staffed to assist with family history searches. Bastardy cases would be heard in the Spilsby petty session hearings every other week. The children of this parish attended school in Irby-in-the-Marsh parish. Currently, children go to school in Great Steeping.